Oceania has casinos in many of its countries, but the two most prolific are Australia and New Zealand. Here, gamers have access to many different casinos across different states and cities – and there are even more in the works. Let’s take a peek at some of the exciting new casinos coming your way where you can play pokies and poker in person, as well as some which are getting redevelopments. The ambitious Queen’s Wharf construction project is looking to revitalise the CBD, spending hundreds of millions of dollars in developing the area. The centerpiece will be Brisbane’s first six-star hotel, housing the new Star Casino as well as plenty of new drinking and dining options. The final stage of construction isn’t expected to be completed until 2022, but the resulting project is sure to draw huge numbers of tourists to Queensland’s river city as well as creating a large numbers of new jobs. It also sees the current Treasury Casino being turned into a Ritz Carlton hotel, implying the new casino intends to be far superior. The 75-storey tower of Crown Sydney is set to become the city’s tallest habitable building by the time it’s completed in 2020. The casino and hotel are gunning for the exclusive crowd, operating with VIP membership restrictions. And it’s not hard to see why: the hotel is going to be a six-star affair, with 350 rooms and stunning infrastructure. The development is designed to draw wealthy Chinese tourists away from Macau’s casinos and instead to Australia – so locals may have little chance of visiting this luxury establishment. 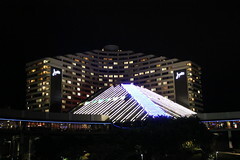 Although it first opened in 1985, Jupiters Casino celebrated its 30th birthday by beginning renovations to redevelop the casino. $345 million has been budgeted to spend on extending and refurbishing the iconic casino, which already draws significant numbers of visitors. The construction work is going to create a new tower, due for completion in 2018, that will provide 70 additional rooms. It’s also going to make sure the casino’s facilities are world-class, ahead of the 2018 Commonwealth Games being held in Gold Coast. The second casino to open in New Zealand, SkyCity has been a trailblazer ever since. 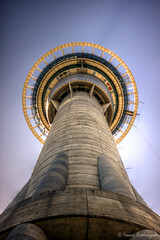 It’s the only casino in Auckland, and it sits proudly at the base of the Sky Tower. Its 20-year anniversary in 2016 sees the development expand further, building a hotel and convention centre around the casino with the intention of contributing $700 million to the Auckland economy. The casino’s license has been extended until 2048, allowing guests who attend events at the new 4,000-person convention centre to be comfortably houses and close to their gaming needs. Whether or not you can afford to check out these glitzy six-star establishments, new land based casinos create masses of construction jobs as well as adding money to the local economy as more tourists come to stay (and play). But while you’re waiting for the new casinos to finish up, why not play some pokies at Lucky Nugget Casino to pass the time? You know it’ll be worth it!